So upon the request of one of my friends, I went and saw Prisoners last night. I'll be surprised if it doesn't win some kind of an award. Especially the prestigious "Sports Trophy"
The plot, if you haven't seen any of the previews, revolves around two sets of parents whose respective daughters disappear, the cop who is trying to find the two little girls, two murder suspects, and a few other characters that supplement the story. What essentially happens is that on Thanksgiving Day, the two little girls run from the one's house to the other's looking for a whistle that has gone missing. They're supposed to bring their siblings so that they can be chaperoned, but they neglect to tell their siblings where they're going. When their parents notice that they're missing, they call the police. The police give the case to Detective Loki, who then goes after and arrests the only suspect, a man with the IQ of a ten-year-old. But when there isn't any evidence to support his being kept there, they have to let him go. 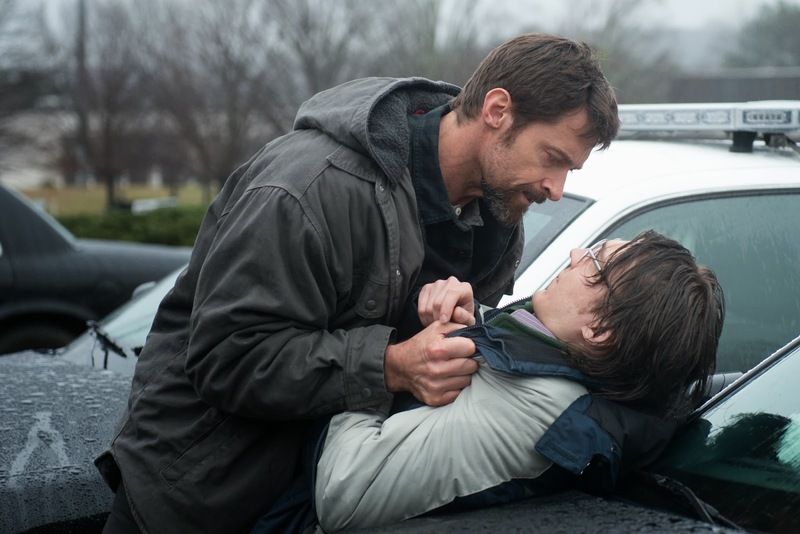 Furious at the freedom of the man who he's sure has taken his daughter, the one father, Keller (played by Hugh Jackman), decides to take matters into his own hands to get the location of the two girls from this man's mouth. The ensuing movie is a complex and intricate thriller that is utterly fascinating. First off, the casting in this is fantastic, as is the acting. Keller's passionate presence as a man of faith who takes it upon himself to rescue his little girl resonates. When he kidnaps the guy on the basis of a few pieces of circumstantial evidence, you're as sure as he is that the guy took his little girls. But as the plot unfolds, other suspects enter the picture, and things change, you begin to wonder if the guy Keller is torturing really IS the killer. Are you a kidnapper or not!? 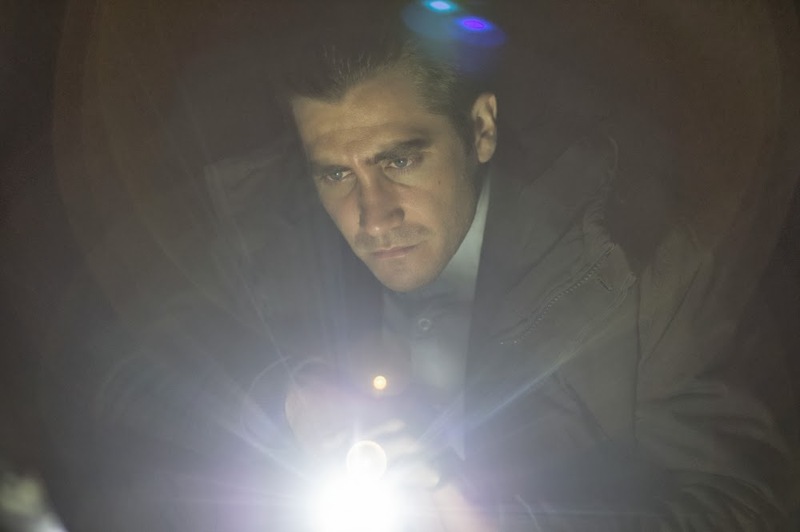 Jake Gyllenhaal is MESMERIZING as Detective Loki (teehee, Loki...) trying to solve this case and find these two girls, representing a total foil (or contrast, non-English nerds) to the character of Keller. Where Keller is emotional and impulsive, Loki is slow and tactical. Even though he has is own emotions that crack through at times (especially towards the end), the film gives you a firsthand look at how difficult it is to be a cop during this kind of case. 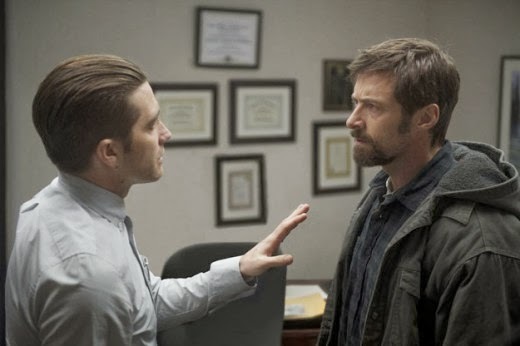 Additionally, it's so refreshing to see Gyllenhaal as a serious character that has to be stoic and not just his typical dreamer persona. If he had reservations about doing this movie because of its similarity to his character in Zodiac he needn't have worried, because even though they're both cops, there's no hint of that daydreamery good guy in this. Loki is a cop doing his job damnit, and he'll be damned if he doesn't find these girls. Not only the performances, but also the overall story in this is incredible. Even though the one thing that bugged me about it was the fact that it's 3 hours long, it's pretty damn watchable for being so long. It reminded me a lot of the kinds of plot twists and intrigue that you see in Silence of the Lambs. While there is a physical search going on for these girls, the lens is also turned onto the the psychological anguish of the two main characters. So not only does the title Prisoners refer to the two girls and the captive man, but also to the fact that these guys are prisoners of their own actions and minds, trapped within their own thought processes. So wow, that was a very deep post, but then again, it was also a very serious and deep movie. Y'all should go see it (if you can handle it, that is, because honestly, parts of it were really sad and upsetting). Lots of fun plot twists!! 9 outa 10. I only wish it hadn't been so long. Good review Annie. Compelled from beginning to end, even when it did get somewhat stupid by the end. Thank you! I really liked the realism. Kind of rambly at times, but I'm glad that they ended it full circle and explained everything.